Hi everyone, today we are going to look five useful tips for the android user, which will help you in increasing your user interference. These tips options may vary from device to device depending upon the android operating system you are using, but the basic idea will remain the same. If you have any question you can writes to us through comment section and will get back to you. App Notifications are good for some of the apps, from which you want regular updates. But what if all the apps stored in your devices giving you notification at the regular interval of time, for sure it will irritate you. 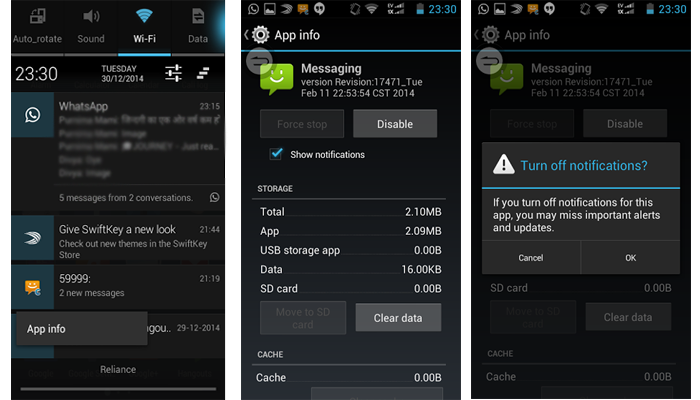 So if you want to disable the App Notification Follow the steps below. Once you receive the unwanted notifications in your phone. Long Press the notification till the time a Message Box appears. Then Unclick the Show Notification then it will ask you to conform that you want switch off the notification press OK.
With increasing rates of Mobile Data, this option play a very crucial role in controlling the data cost on your Mobile bill. Some of the ISP provide the details via message or through there apps, but still we recommend you to enable the Mobile data limit. 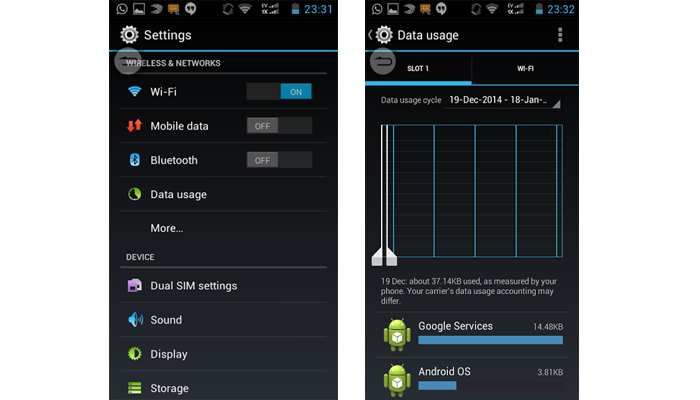 To Set the Data limit go to Setting of your Device. Then tap on the Data Usage option. Set you data limit by dragging the orange line as per your desire. Then select the data usage cycle according to your need monthly, weekly or daily. Once you are done with this, the system will alert you once you are reaching to your limit of data usage. With App Company rolling out the regular updates for changing the app icon or small bug fix, it is very hard to control all the update which increases the Mobile Data Bill. 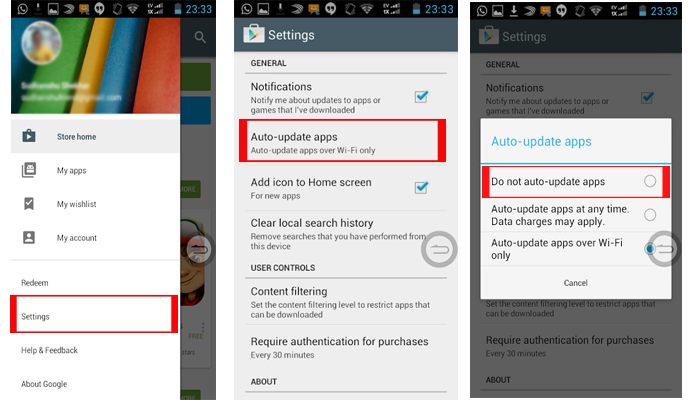 To disable Automatic App update open Play Store and then head to Setting (of Play Store). You can enable the Auto-Update on WIFI, so when you connect to WIFI it will update the app automatically. 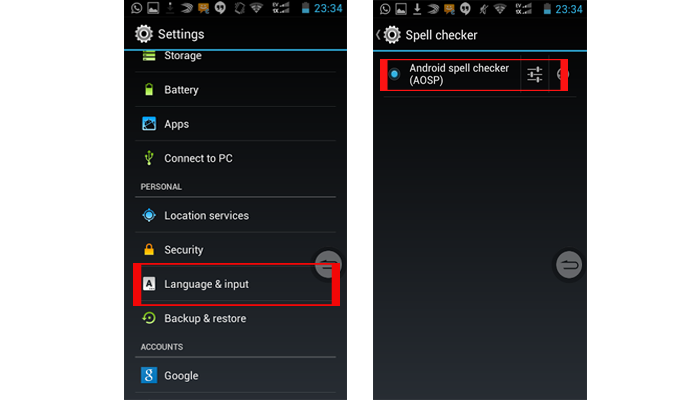 Hate your phone on changing the spell of you word, we will help you to switch off this option to help you type freely. Adding Google Account is important when you operate more than one Google account for your mail or for some other feature of Google. Let’s find out how you can add more than one Account. 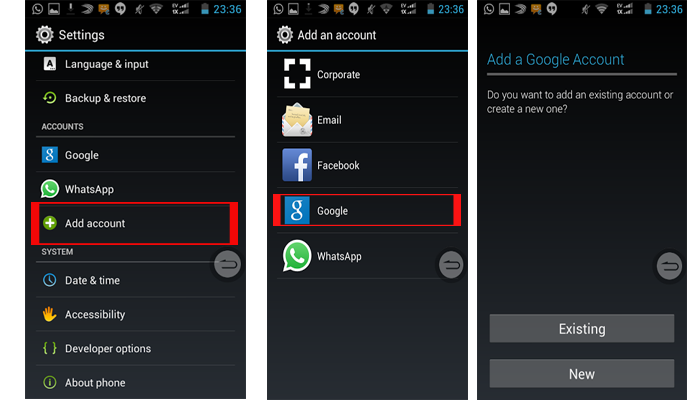 You can repeat the above steps to add more accounts to your device. 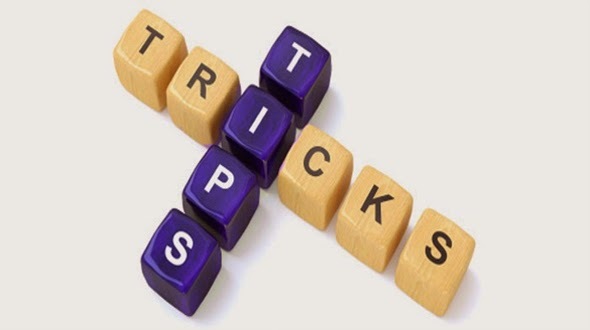 Hope you have liked the entire Trick and will help you to make the user interface easier and simple to handle for you. Share your views what you want in the tips section of App Gyaan. You can subscribe to our Rss Feed for all the updates of App Gyaan directly in your Inbox.